You may think that the thrills and spills of Christmas are still safely in the distance, but the launch of the annual John Lewis’ Christmas advert ushered in the start of the festive season in a big way. The masters of viral marketing get up early. There are a few things you can expect from any John Lewis Christmas ad; an emotive narrative, a saccharine-rich cover of an old song, a vague moral to the story and animals or children as the main characters, and #MontyThePenguin doesn’t disappoint on any count. 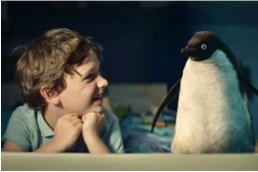 The two minute video is a misty-eyed examination of one child’s pursuit to make his imaginary penguin pal happy by finding him a mate, and the action takes place to the soundtrack of Tom Odell’s version of John Lennon’s Real Love. There is a good deal of evidence to suggest that strong emotions are key to viral sharing, and as John Lewis had a two-minute window with which to engage viewers, it was important to create maximal emotional excitement quickly. Sam and Monty’s story was certainly a tear-jerker. In fact, the advert went for an all-out assault on viewer’s emotions, resulting in 14,500 people admitting on Twitter that they’d cried at the ad, and more than 3,500 people said that they wanted a Monty of their very own. Knowing the monetary value of going for the emotional jugular, John Lewis responded by offering up the chance to do just that for the bargain price of £95. 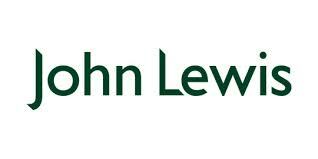 Another thing John Lewis did right with the ad was to keep their branding to a minimum. There were no overt references to the retailer or its products, and no heavy-handed sales pitch, which was key to keeping consumers emotionally engaged with the story. It could be said that the ingenuity of John Lewis adverts is that they’re not really about John Lewis at all. The decision to launch the ad on a Thursday was a great one strategically speaking, as according to research by marketing tech company Unruly, nearly half (48.3%) of all video shares occur between Wednesday and Friday, peaking on a Friday and hitting the lowest point over the weekend.